Standalone cigarette smoke alarms detect cigarette smoke. 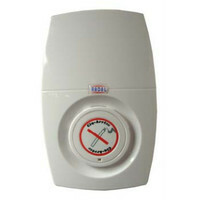 These are used to enforce no-smoking areas through the use of a smoke detector alarm. Cigarettes can often be the cause of a fire, which has led to certain buildings enforcing a no-smoking policy with smoke alarm systems. A smoke detector alarm can alert the relevant safety officials and deter occupants from breaking a no-smoking policy. With the high cost of fines, the potential for damage from cigarettes themselves and an increased fire risk, standalone cigarette smoke alarms allow everyone to have anti-smoking technology at their fingertips at a cost-effective price. Smokers typically find quiet or secluded places to illicitly smoke cigarettes. It's not difficult to figure out where theses places are – you may have even caught smokers in these locations previously. Common places are bathrooms, store rooms, offices, bedrooms and entrances/exits. Standalone cigarette smoke alarms are quick and easy to install and allow you to both deter and catch people smoking on your premises. 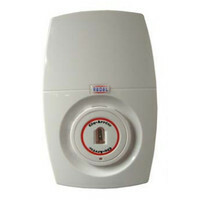 They are battery-operated too which means they can be installed in virtually any location. Cigarette smoke alarms are finely calibrated to detect the fine particles of tobacco smoke. They work with incredible accuracy and can detect someone smoking in a matter of seconds. Many also have voice alarm functionality which means they will sound a pre-recorded message instead of a traditional alarm when they detect a cigarette. At Discount Fire Supplies we have a standalone cigarette smoke detector and a standalone cigarette flame detector. Both are from the reliable Cig-Arrête range of anti-smoking devices and have a voice messaging function to warn smokers they have triggered an alarm. We also stock a full range of Cig-Arrête cigarette smoke detection components which allow you to create a comprehensive cigarette smoke alarm system. If you have any doubt over which cigarette smoke alarms you need, call our team on 01792 452 700.